Water, Culture, Arts, Sport, and Social Cohesion. This is How Youth of Qamishlo Seek to Activate their Role in the City! Qamishli, or Qamishlo, a city in the north-east of Syria, is often referred to as the city of love by its children, young people and elders. The city is characterized by a unique community mosaic and a wide variety of religious and ethnic groups. From this city the youth initiative “We love Qamishlo” has been launched since the beginning of 2017. It is organized by DOZ, along with a group of Syrian youth to overcome the social and cultural problems caused by the war in the country. 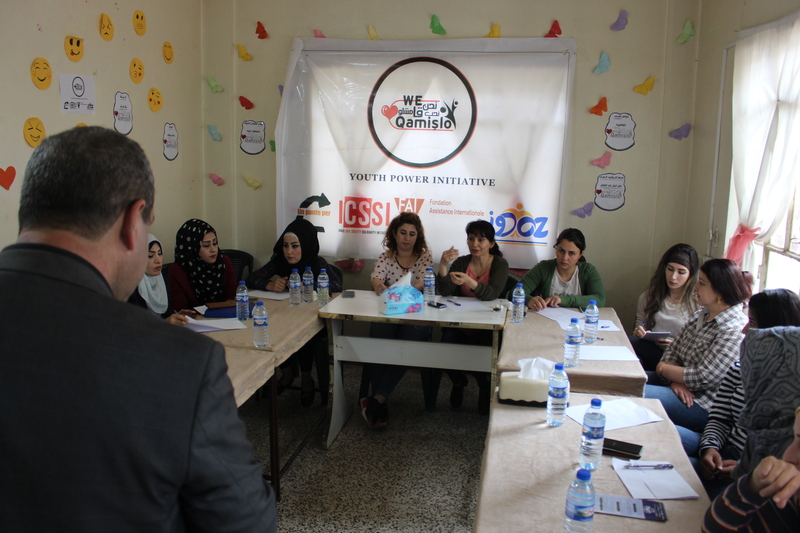 In March 2018, the “We Love the Qamishlo ” initiative organized a training workshop on social cohesion with a group of young people from the city and its surrounding areas for three days. The participants discussed ways to overcome the social problems and activate the role of youth in society. Their discussion dealt with the concept of social cohesion and its objectives and its role in eradicating sectarian tensions and how to exploit common values ​​to maintain the cohesion of society. 3. Culture and Art Group. Sawa Ahla Group for Community Cohesion. 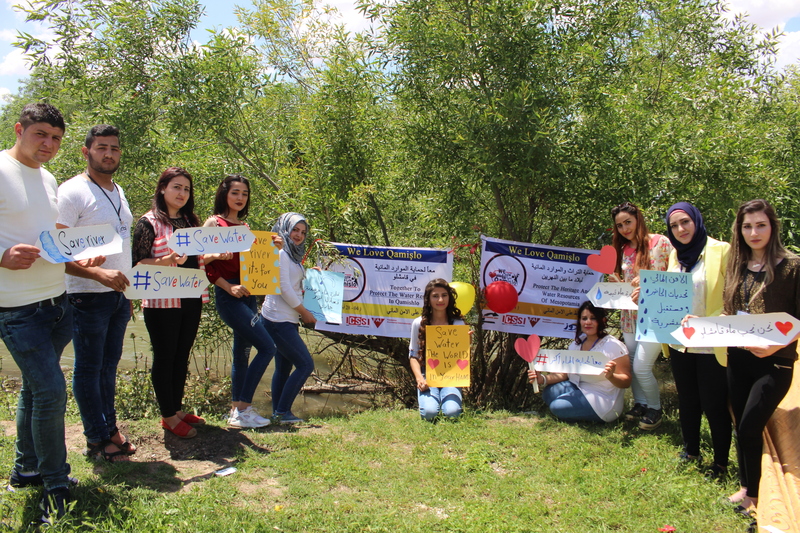 In a collaboration activity, the Doz team and the volunteers participated in the campaign “Toward Green Communities”, which targeted the Roshan Park in the Ashoyrian district in the eastern part of the city. 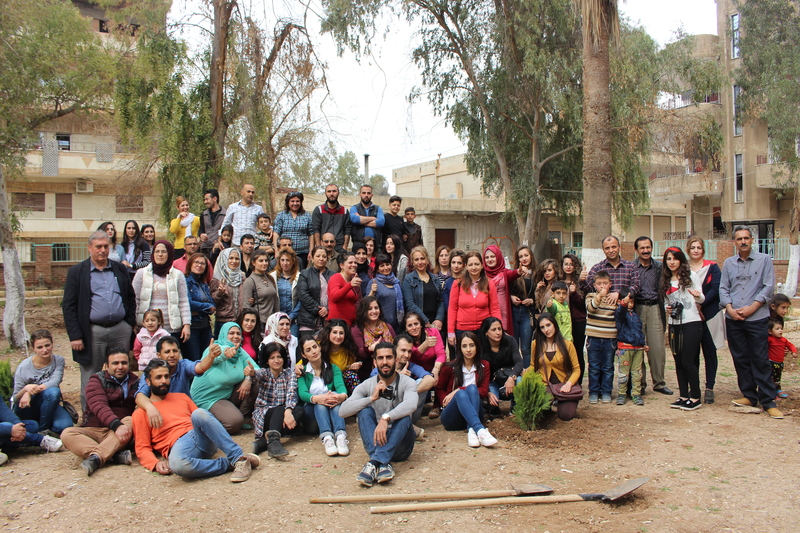 The campaign included the restoration, cleaning, and planting of the trees for two days starting on March 14th 2018 with a group of civil organizations working in the city of Qamishlo. It was an opportunity to contribute to joint work and exchange of ideas, before proceeding to specialized campaigns. After that, the four groups went on to organize campaigns and community activities aimed at promoting coexistence and civil peace, all within their respective spheres of competence. 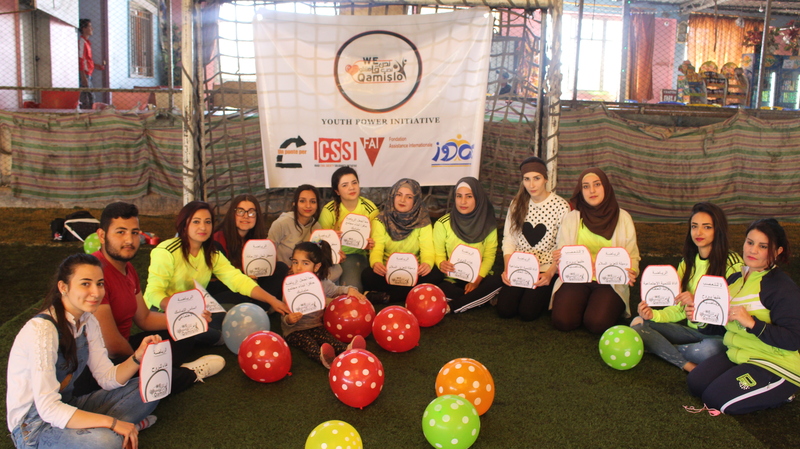 Organized sports group against violence campaign titled “Sports in the Face of Violence and Violent Extremism” dealt with this campaign. It includes a range of activities, including youth sessions on violence and violent extremism, and how to link sports and social development and to confront violent extremism. These sessions permeated the range of sports activities was concluded these sessions by the Group organized football has participated in these young people match in the closed-door in the city Qamishlo stadium, which in turn has been awarded the participants in the sports group against violence more energy and vitality to continue to organize more activities in the future. 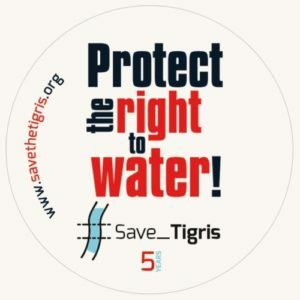 The Water Security Group initiated a campaign entitled “Together to Maintain Water Security”, which included successive activities aimed at conserving the water resources of the city of Qamishlo in particular, and in Mesopotamia in general. In May, the group organized a session on the importance of water, in which a group of community stakeholders and representatives of civil society organizations in Qamishlo participated. One of the group volunteers gave a briefing on water, its sources, its importance, how to guide its use, and with it the interaction of the representatives of the organizations on the importance of protecting the water resources in the city of Qamishlo. The group organized field trips to visit the Jaghjagh River, which runs from the center of the city to identify the river, which originates from two sources in the Tur Abdin Plateau in Turkey and runs inside the island area where it merges with the Khabur River and flows into the Euphrates River in central Syria. The group identified the strategic role of this river for the city and its inhabitants, which requires the community and the municipality to preserve it from pollution and protect it. The Group continued to undertake such field tours and to produce brochures and awareness posters on water use guidance. The group published some tips to keep water resources clean in the city of Qamishlo on the main streets of the city and its center, which is the largest gathering of people, as well as sub-neighborhoods in order to reach the message to the largest possible population. These field trips have also given a greater moral impetus to the young participants, especially when they saw the interaction of the parents with them and the appreciation of the parents for what these young people make of conscious effort and importance for them, especially as they are coming on the summer. A large number of families in the city of Qamishlo suffer from water scarcity or lack of water, forcing them to buy water, especially during the summer from the owners of private tanks. As a result of this important activity, the Water Authority in Mogadishu, the administrative body responsible for water, met with this group and expressed the importance of what young people are doing and how they are able, through their various activities, to assist the Commission in communicating messages to the community in Qamishlo. The Culture and Art Group began to plan a range of artistic and cultural activities through educational lectures and field trips, taking into account the legal framework in conflict situations. In May, in cooperation with the Doz group in Amouda, the group organized a lecture on international humanitarian law in times of war and conflict under the supervision of lawyer Lazkin Hajo, with a group of young people and volunteers from local organizations. The participants were able to learn about the main provisions of international humanitarian law and how they can be activated in times of war and conflict. In Ramadan, the youth of the group started to prepare many artistic handicrafts using simple raw materials available to everyone. The group produced cash money, using empty bottles of water, to distribute to the children of the city later and coincide with Eid al-Fitr, so that the children could benefit from them and keep the money they receive from their families on the occasion of Eid. The group’s volunteers continued their work in July and organized a session on business ethics with the assistance of specialist Hussein Yassin, where he discussed methods of establishing work ethic and its impact on relations and attracting the public. 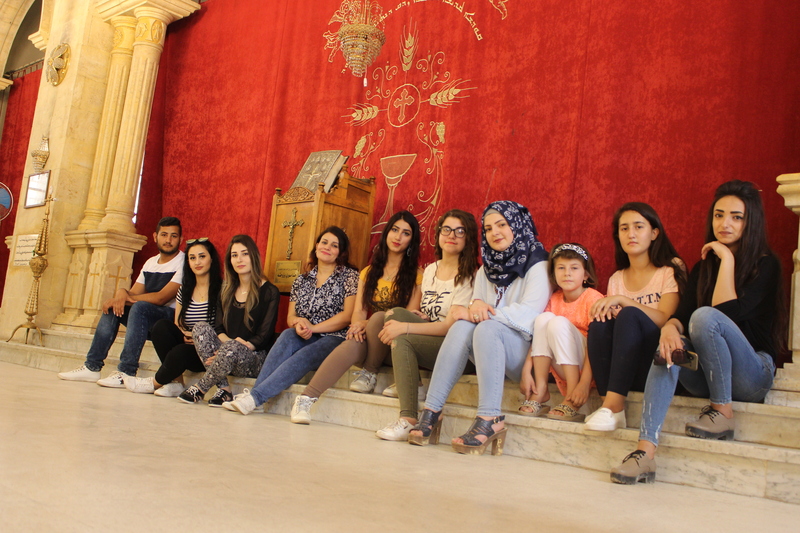 The meeting was attended by a group of young people from Qamishlo, who welcomed and interacted with the participants for the importance of this topic in everyday life. The group of Sawa Ahla has distinguished its interest in bringing together all the sects and nationalities of the city under one roof. The group started in cooperation with the Culture and Art Group in preparation for an initiative under the title “The Features of Beauty of Qamishlo.” This initiative included organizing a lecture on the city’s monuments, in which they discussed the city’s landmarks, history and name, as well as the oldest mosque, oldest church and oldest hospital in the city, where he explained that these monuments are the result of an archaeological mix and heritage and community cohesion among the people of the city for thousands of years. In addition, the group did not only offer activities, but also tried to leave a mark on every occasion. As the month of Ramadan began in mid-June, the group volunteers equipped lanterns with greetings and distributed to the people of the region, who welcomed this initiative, especially that the lantern is one of the symbols of expression that they use as a sign of the month of Ramadan. The spirit of cooperation and teamwork created by the initiative we love Qamishlo for young people is growing today, and young people have begun to exchange experiences and capabilities among themselves. Every person who has enough attention and information about a social or cultural field will share his experience with other friends in the initiative and invite other interested young people in the city to participate in the exchange of experience and information. For example, the group organized a session on the basics of media and media reports written and visual, and another session on the basics of using the Office package and how to take advantage of its programs in daily life, both professional and personal. In cooperation with the volunteers in the initiative, We Love Qamishlo continues to implement various activities of this kind, which will introduce young people to the city’s landmarks, history and various components, and contribute to the diagnosis of social problems in the region and the possibility of finding appropriate solutions. The initiative and its clusters will continue with other activities and campaigns, as well as the annual initiative, planned for September 2018, which will include a series of events to be worked out by the working groups and initiative’s volunteers. All this comes within the framework of an integrated program entitled “Paths of Coexistence in Mesopotamia”, which is run by the Un Ponte Per… Italian Organization and supported by the FAI Swiss Foundation. 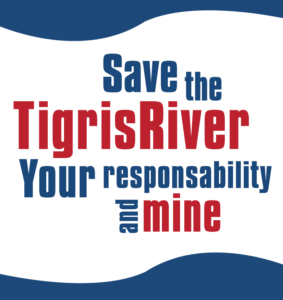 This program seeks to promote peaceful coexistence in the cities of the Tigris and Euphrates rivers in Iraq, Syria and Turkey, and in a vision that represents the connection of these cities to each other through the arteries of the Tigris and Euphrates Rivers. It aims to consolidate the concepts of peace and nonviolent alternative to conflict resolution, raise awareness of civil society and citizenship and accept the other. It includes training workshops, campaigns and festivals planned and implemented by local initiatives and teams in these cities.